How to Watch 3D Movie on Your PC or Laptop? In a cinema hall there is projector from both side that make the effects of 3D on the screen and you are provided a clear glass to see the effects. Without the 3D glass you will see a blurry image on the screen. Now the question is do you think you can watch the same 3D effect on your normal PC (LCD) or laptop screen? Not exactly but you can get the feel of 3D at a level with a special kind of red blue(Cyan) glass. The projection glass that we uses in a cinema hall won’t work on our home PC or laptops screen. Because that will not consume some of the rays from the screen. So if you want to watch a 3D movie on your home in cheap cost then get a 3D glass like the following. You might not work like that and this can’t be a good option too. 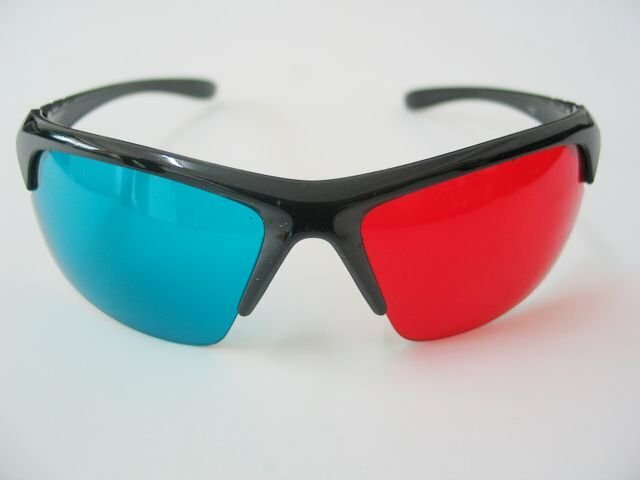 So you can get one from e-bay or amazon: Pro X Style Red/Cyan 3D Glasses for Movies and Games on Flat Screens . Where to Get 3D Movies? You can buy good quality 3D movies from online or watch some of the items in YouTube. Also download them from torrents. Torrent is quite a good place to download these movies for free. Another thing is that you need a good player to play theses videos: MKV player like VLC gave me a hassle to play 3D videos. But KM player is a good choice. Actually it has a 3D button at the bottom left to test which video dimension works best for your glass.